Mr. Big drummer Pat Torpey passed away on February 7 at the age of 64 from complications of Parkinson's disease. Torpey was a regular on the Los Angeles music scene in the early 1980s, landing gigs on American Bandstand and Solid Gold that saw him regularly perform behind top international singers. The drummer toured with John Parr [“St. Elmo’s Fire (Man In Motion)”], Belinda Carlisle and The Knack before connecting with bassist Billy Sheehan, singer Eric Martin and guitarist Paul Gilbert to form Mr. Big in 1988. Torpey was diagnosed with Parkinson’s Disease in 2014, and continued to record and tour with Mr. Big while Matt Starr was brought in to handle lead drumming duties. 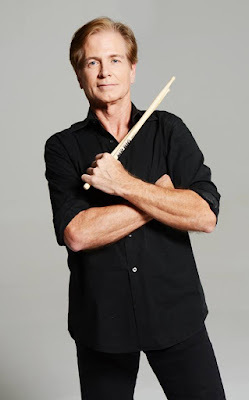 "Pat Torpey has been my closest friend in music for over 30 years,” posted Sheehan. "Pat was one of the finest human beings I've ever had the privilege of knowing, and the honor of working with. All of us in Mr. Bib had nothing but the highest respect and admiration for him. He is loved by anyone and everyone who ever met him. And surely one of the finest rock drummers the world has ever known. “Please keep his sweet wife and wonderful son in your prayers. I love you, Pat. You made the world a better place. We will miss you. We will never forget you. Rest in peace, my brother."